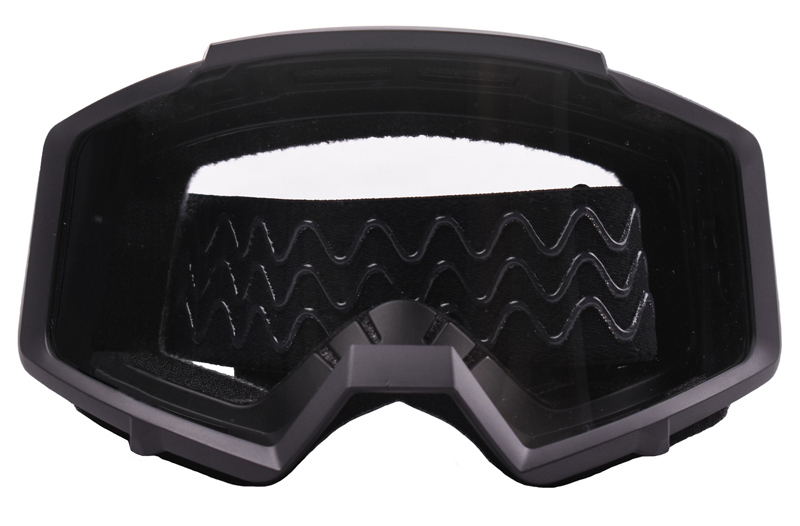 When looking at motocross goggles, we look at comfort, adjustability, durability, and price. And after using the Typhoons for a while, there are a lot of things we’re impressed by– but really, this biggest draw is the price. For under $15, you can have a solid pair of protective sand goggles. Are these going to last a lifetime of motocross beatings? Probably not. But if you’re just getting into the sport, or maybe don’t see yourself doing anything more than the occasional trail ride, these are an excellent introductory goggle. More of an experienced rider? These still have a place in your bag as a backup pair (or ones to loan to friends who may have forgotten theirs). They’re cheap enough that you can toss them around without worrying about breaking the bank. Do they fit over glasses? Let’s address this off the bat. We make sure to keep near-sighted folks in our sights at all time, which is why we test each goggles’ fit over glasses. 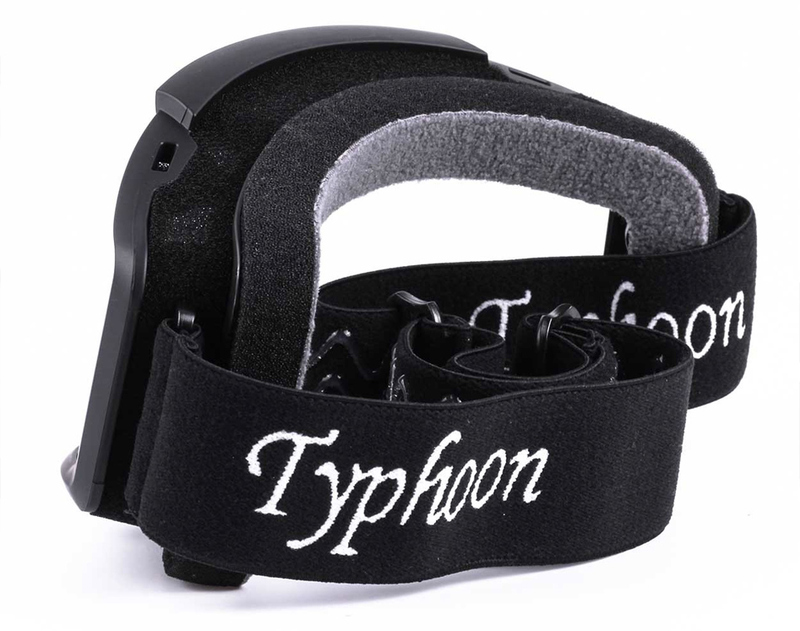 These Typhoons are a tight squeeze, unfortunately, but if you have a particularly narrow pair of eyeglasses, you may be able to cut notches in the side foam successfully. But for all intents and purposes, these are not “true” OTG goggles, so be warned. On the topic of foam, that’s one thing these goggles excel in. For such an affordable pair of goggles, they have a THICK double layer of fleece foam, that’s extra comfy on the bridge of the nose. The thinner foam layers that cover the ventilation on the top and bottom appears to be secured well (we hate when others peel off from crappy glue jobs, but these seem like they wouldn’t have that problem). 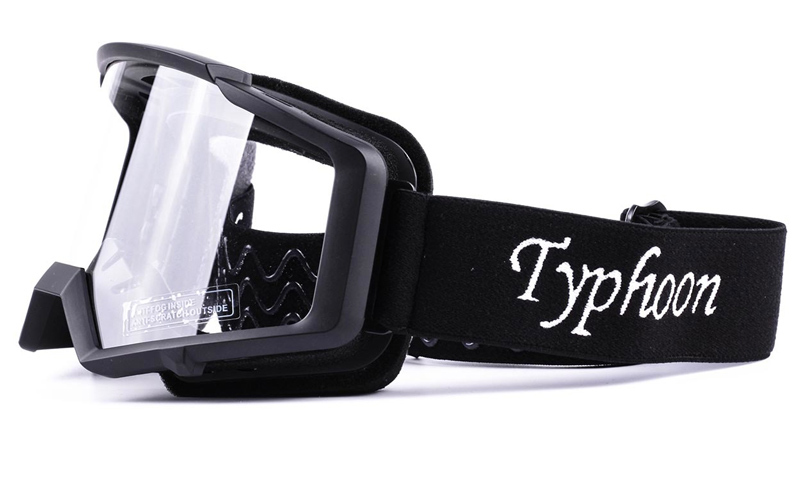 These Typhoon goggles come with a standard single-layer clear lens, best suited for cloudy/overcast days of riding. 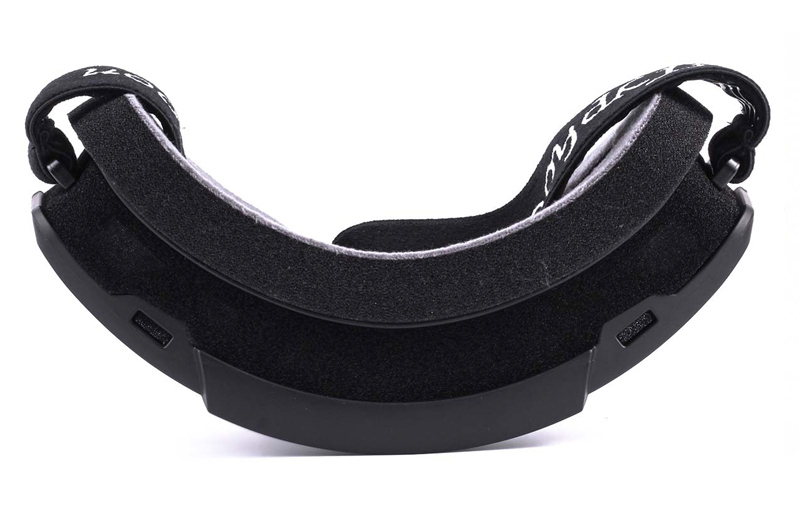 Super adjustable strap with silicon texture to keep it securely wrapped around the outside of your helmet or head at all times. 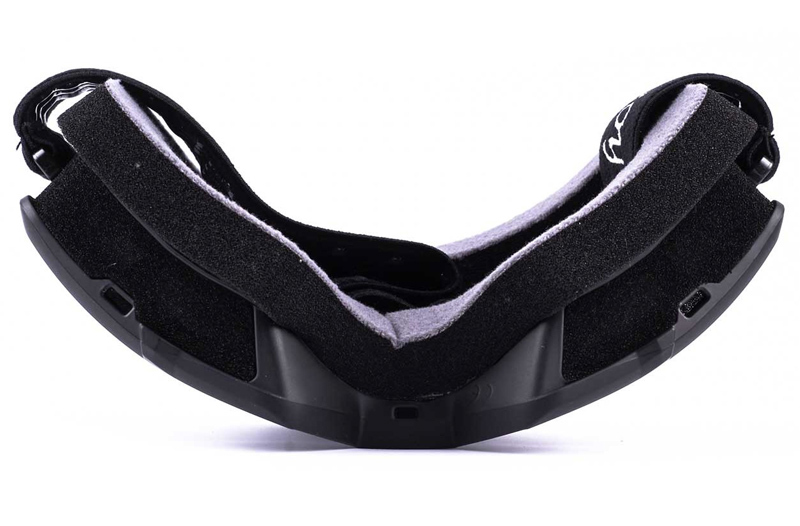 This thing isn’t going to slip down, and won’t stretch out over time like other goggles in this price range. If you think these under-the-radar goggles might look slick on your next ride, you can pick them up, as well as many other protective gear, directly from Typhoon Helmets.